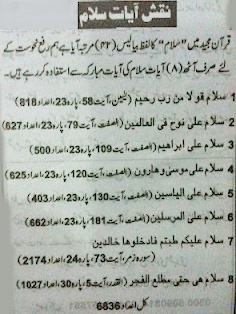 These All wazaif relate to Hast Salam. 9 - if you are in Alienation / imprisonment / Jail / Prison and want to get rid from Hanging or other punishment so read ayat-e-salam 165 times daily and after that recite Surah-e-Jin 25 times. 10 - If you want to Subservient Human that every one like you and accept your orders or you have other Purpose so read Hast Salam 110 times Daily. Inshallah you get unseen help from Allah and success will come at your doors. 11 - the person who read Hasht Salam daily at Fix Time he will see Strange effects and will get success in every Position. I unable to read all the benefits of this ayat so read and get Prosperity from Allah. 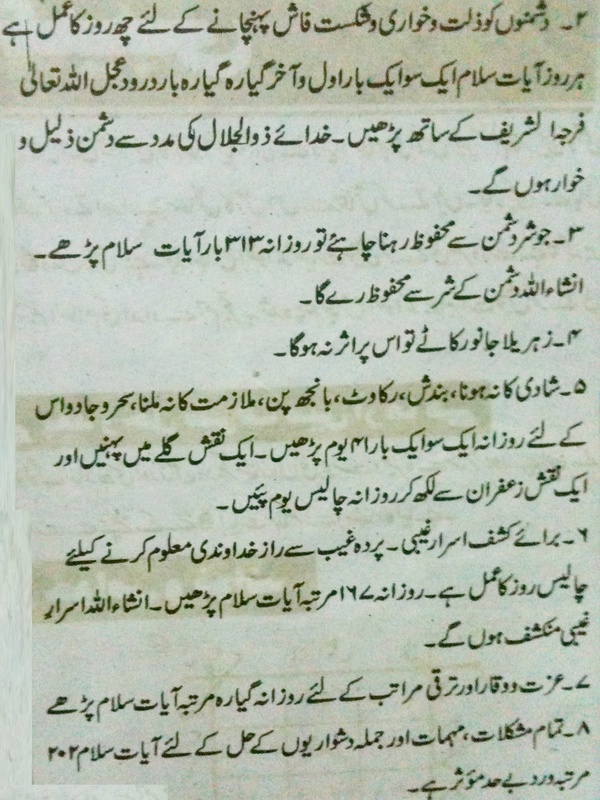 just read and follow these wazifa's as written in pics and all are very effectively work to solve your problems very quick. 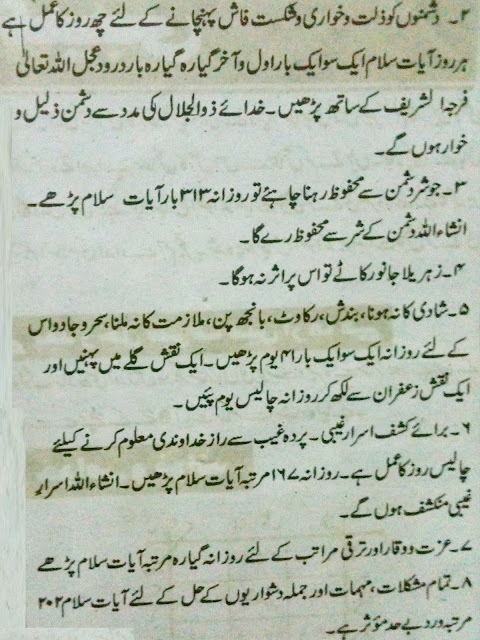 2 - If you trying to Defeat, or Humiliation of your enemies then you have to do 6 day amal of Hasht Salam. Ayat e Salam 101 times and 11 times Durod e ajal before and after ayat e salam. 3 - if you want to save yourself from enemies then read ayat e salam 313 times. Please Pray for Us if your problems are solved then remember us in your prayers you can contact us via mail or Phone no as given above on Blog. 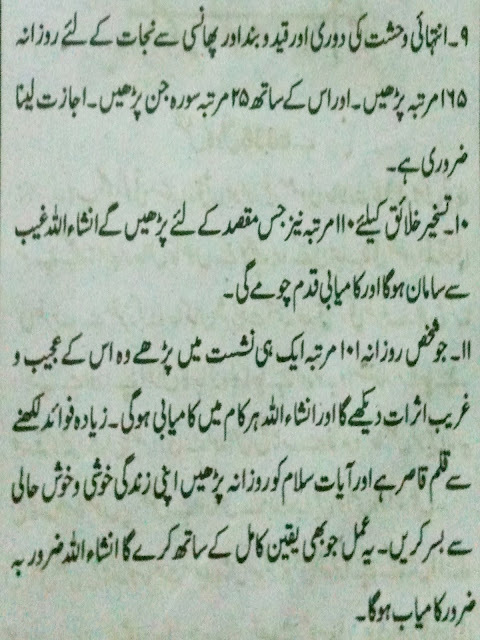 if you want to do Above given wazaif then please read below given Ayat e salam. We translated the First image and inshallah soon we will translate remaining two images too. Well these all wazaif are related to " hasht salam" and Hasht salam are written in last image in Arabic, So what kind of difficulty you have please tell us, we feel happy to help you regarding that matter.